The use of padlocks to protect valuable cargo date back to ancient trade routes and 2,000 years later, these simple locking mechanisms are still being utilized for their unmatched protection and durability. 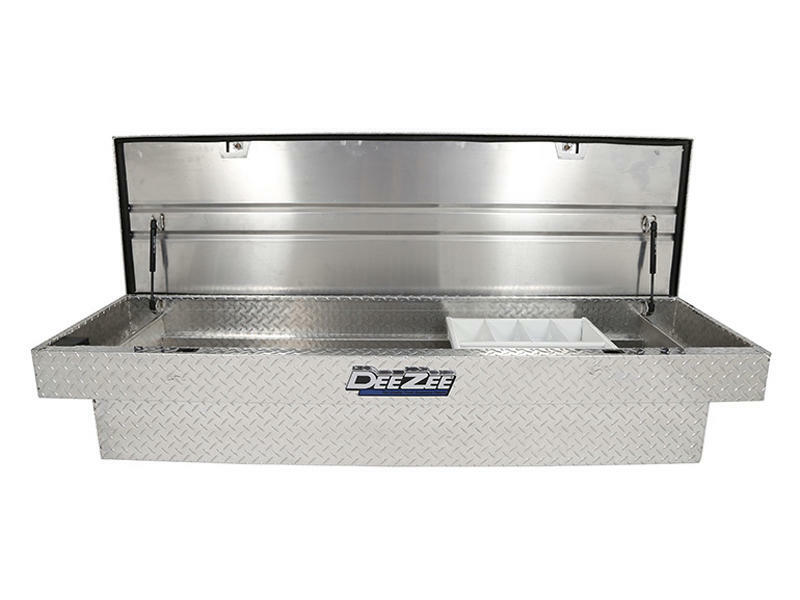 Dee Zee takes this foundation of security one step further by integrating this shackle design into your truck tool box. 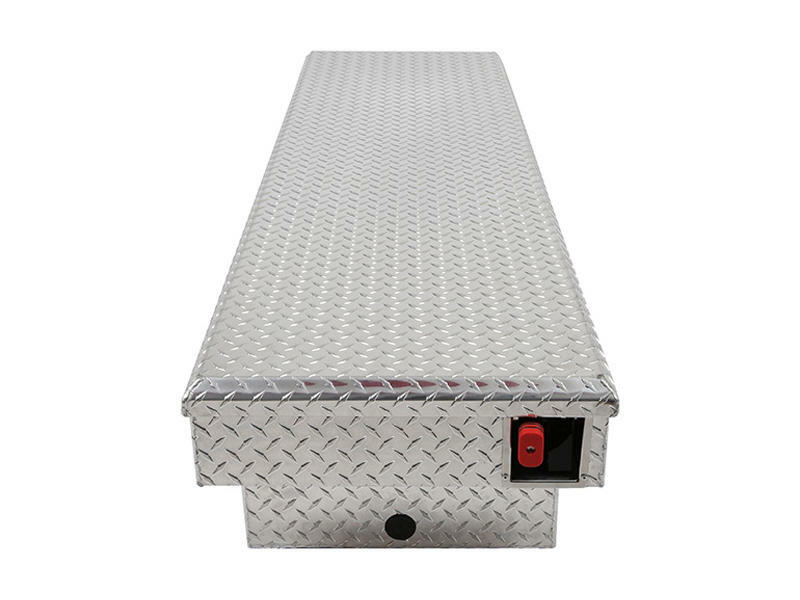 For starters, this fortress is constructed of 20% thicker aluminum than our standard Red Label box and you will feel the difference in the weight. You better grab a buddy to help you load it into the truck bed. 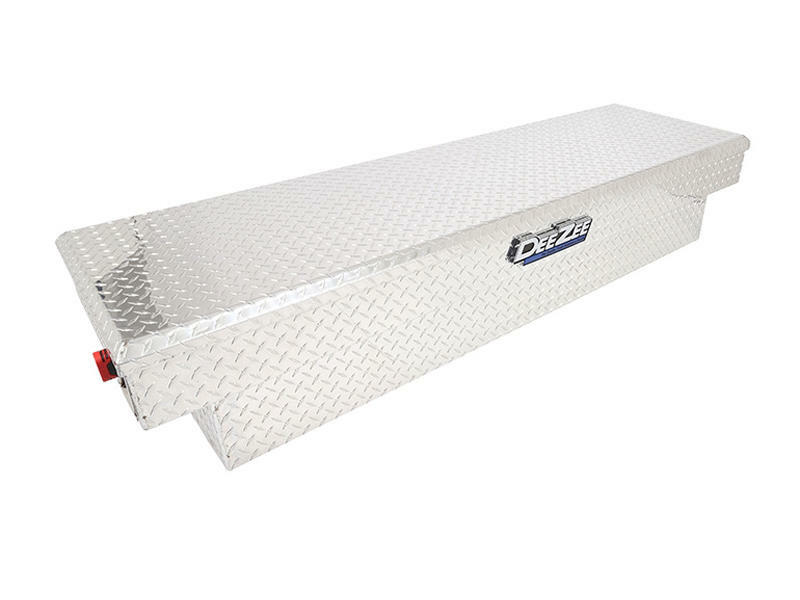 The body is bent out of a single sheet of aluminum and full seam welds join the sides. 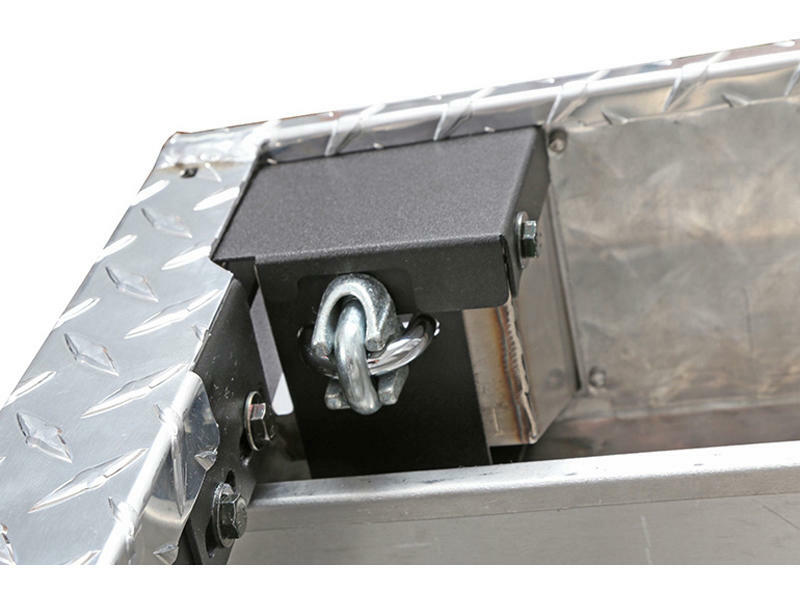 By securing the crossover with the supplied j-bolts into the stake pocket holes, or upgrading to our premium kit, it's seamlessly mounted to your truck. How does this make this box more secure? Simple. 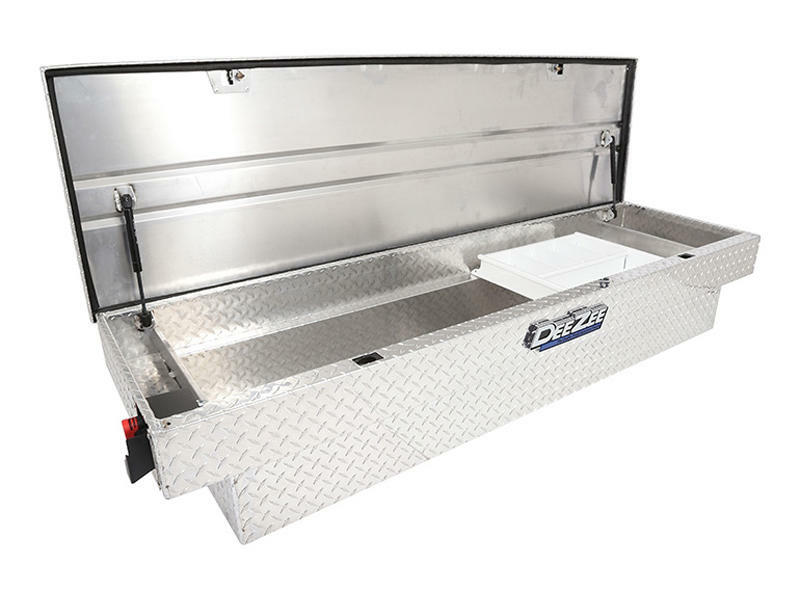 By requiring 2.5 times more pry force to open lid compared to standard tool box latches. 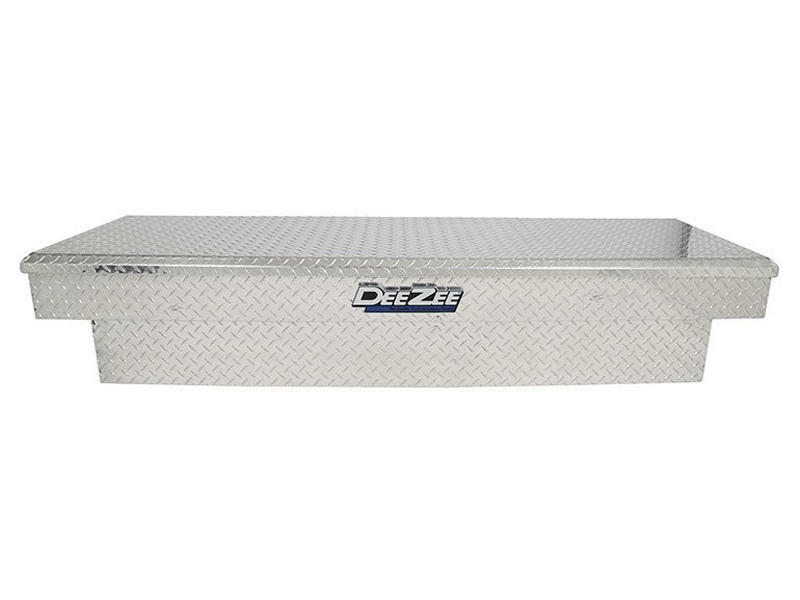 The patented slide surrounds heavy-duty striker bolts to keep the lid closed with a single moving part. The lid strikers are integrated piece in the lid design to avoid weakened weld points. No more parts wearing out and most importantly, no more fear of unwelcome invaders into your tool box, including rain. An automotive grade rubber bulb seal wraps the undercarriage of the lid to resist Mother Nature’s wrath. Once you do get inside, a textured white steel tray has customizable dividers to organize your smaller items. 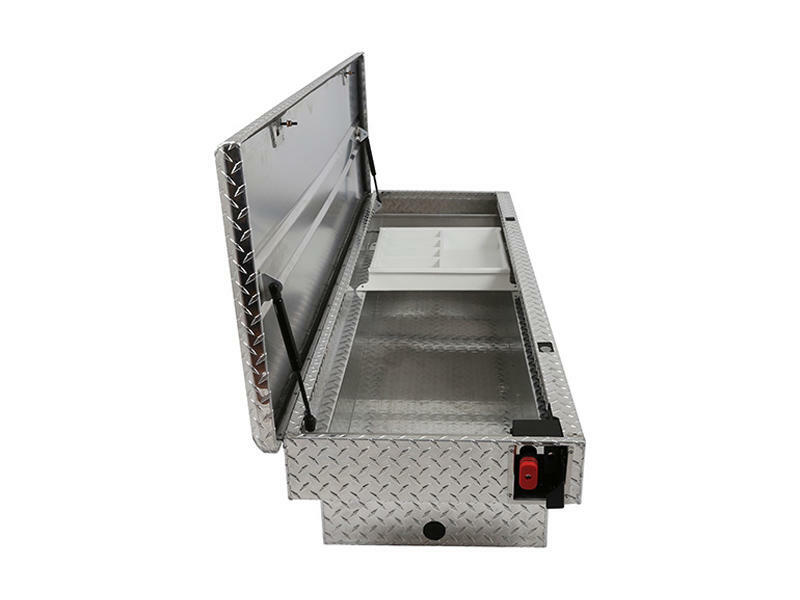 The tray can be secured to either side of the tool box with an attachment lip to eliminate movement during travel. 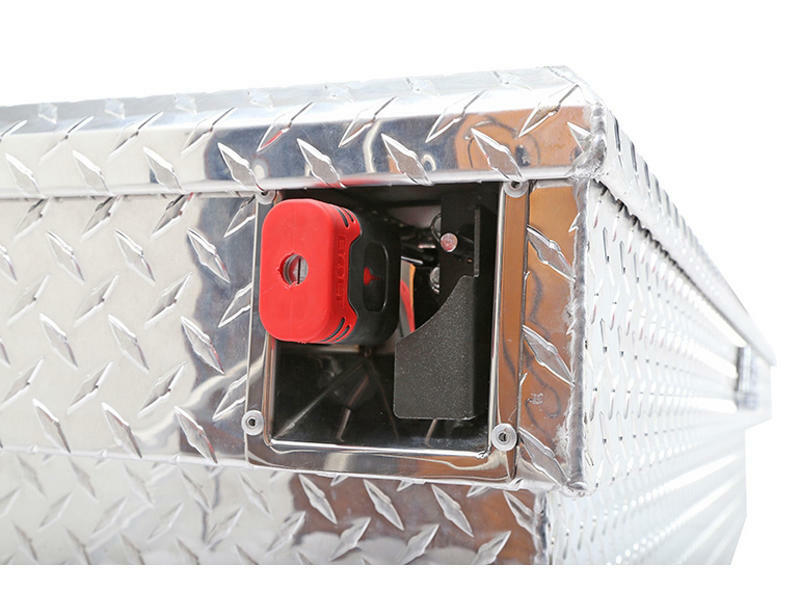 Dampened gas shocks will keep the lid open at a 90-degree angle for unhindered access to all the contents. Rubber plugs near the base of the box can be removed to run electrical cords for power tools when needed. No more worrying. It’s time to put your tools on lockdown.